Enriched with sea minerals, this moisturizing formula lathers quickly into a rich, creamy foam to remove daily sweat, dirt, dust and oil without stripping away skin's essential moisture. Contains pearl powder to provide radiance to your skin, leaving skin feel perfectly clean, moist and smooth with a pearl-like glow. Explore the entire range of Facewash available on Nykaa. Shop more Spawake products here.Alternatively, you can also find many more products from the Spawake Moisture Solution Face Wash range. 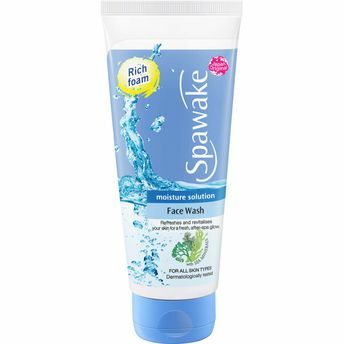 Alternatively, you can also find many more products from the Spawake Moisture Solution Face Wash range.